Make small changes over time in what you eat and the level of activity you do. After all, small steps often work better than giant leaps. Expand your tastes to enjoy a variety of foods and physical activities. Go ahead and find your right balance between what you eat and the physical activity you do over several days. No need to worry about just one meal or one day. Enjoy the foods you eat, just don’t overdo it. Walk the dog; don’t just watch the dog walk. It’s like the expression, “How do you eat an elephant?” that’s right, one bite at a time. No matter where you are in your journey you can decide to make a change in the next 90 days! Let’s take a look at the food pyramid and how we can make smarter choices within each category. What’s in the Grains group: Any food made from wheat, rice, oats, cornmeal, barley or another cereal grain. “Whole grains” include whole-wheat flour, bulgur (cracked wheat), oatmeal, whole cornmeal and brown rice. Get a whole grain head start with oatmeal or whole grain cereal. Use whole grains in mixed dishes such as barley in vegetable soup or stews, bulgur in casseroles or brown rice in stir fries. Change it up. Make your sandwich on 100% whole wheat or oatmeal bread. Snack on popcorn or whole grain crackers. What’s in the Vegetables group: Any vegetable or 100% vegetable juice. Vegetables may be raw or cooked; fresh, frozen, canned or dried/dehydrated. It’s easy going dark green. Add frozen chopped spinach, collard greens or turnip greens into a pot of soup. Swap your usual sandwich side for crunchy broccoli florets or red pepper strips. Microwave a sweet potato for a delicious side dish. What’s in the Fruits group: Any fruit or 100% fruit juice. Fruits may be fresh, canned, frozen or dried; and may be whole, cut-up, pureed, raw or cooked. Bag some fruit for your morning commute. Toss in an apple to munch with lunch and some raisins to satisfy you at snack time. Buy fresh fruits in season when they taste best and cost less. Never be fruitless! Stock up on peaches, pears and apricots canned in fruit juice or frozen so they’re always on hand. What’s in the Milk group: All fluid milk products and many foods made from milk. Examples include cheese and yogurt. Make your Milk group choices fat-free or low-fat. Use fat-free or low-fat milk instead of water when you make oatmeal, hot cereals or condensed cream soups, such as cream of tomato. Snack on low-fat or fat-free yogurt. Try it as a dip for fruits and veggies and a topper for baked potatoes. Order your latte or hot chocolate with fat-free (skim) milk. Special Tip: Although cream cheese, cream and butter are made from milk, they don’t count in the Milk group because they contain little or no calcium. Instead, if you eat these foods, count them as “extra” calories from solid fats. What’s in the Meat & Beans group: All foods made from beef, pork, poultry, fish, dry beans or peas, eggs, nuts and seeds. Make your meat and poultry choices lean or low-fat. Broil, grill, roast or poach meat, poultry or fish instead of frying. Enjoy pinto or kidney beans on a salad or a hearty split pea or lentil soup for extra protein. Oils are fats that are liquid at room temperature such as canola, corn and olive oils. Mayonnaise and certain salad dressings are made with oils. Nuts, olives, avocados and some fish such as salmon are naturally rich in oils. Use some vegetable oil instead of butter for cooking and baking. Toss salad with salad oil and flavored vinegar. Try thin slices of avocado on a sandwich or sprinkle some nuts on a salad. So what are you waiting for? A healthy lifestyle and eating healthier is easier than you think. Make small changes, stick with them and the results will show. If you are looking for a meal replacement, consider the Body By Vi Shakes from ViSalus. 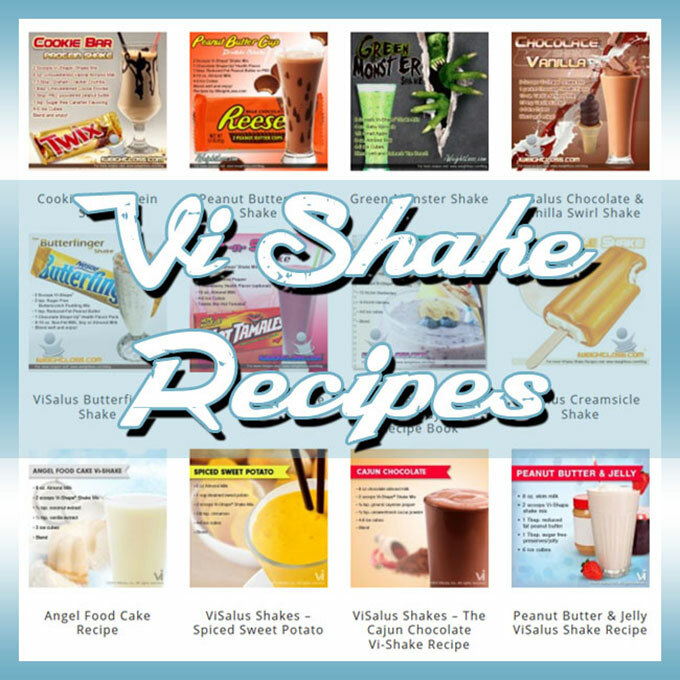 There are several different Body by Vi Kits to fit the journey you are on and the shake mix really does taste like cake mix! Here’s to you, for taking the steps to start eating healthier for a healthier you. P.S. Did you enjoy this post? Make sure to LIKE, COMMENT and SHARE this post.